Are you feeling daunted by a big month of birthdays ahead, a landmark anniversary or even the dreaded office secret Santa? No need to panic! We’ve put together a handy gift guide to help you pick the perfect present for every sort of person, each with a range of options to suit your budget. Whether you’re shopping for an avid angler or a fashion fanatic, we’ve got you sorted. If you want a gift a little bit more unique than the same old cutlery and kitchenware, then Glencroft have just the trick. Our Standard Sheepskin Rugs are the perfect addition to any household. Every one of these rugs is utterly unique, not only because of the individual size, shape and colour of the sheep, but because every rug is hand finished by Richard in our warehouse. A lot of love goes into these rugs, and we’re sure it will be carried into their home too. Our Standard Sheepskin Rug is perfect for any home. Okay, this isn’t the most exciting gift, but it’s one they’re sure to need: our Real Lambswool Duster. 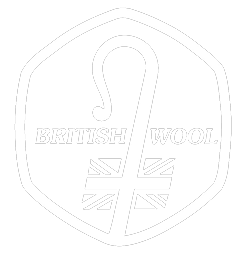 Lambswool is the perfect material for cleaning as it is a natural fibre and so it will actually clean, rather than just disturb the dust. Throw in a bottle of bubbly or box of chocolates on the side and I’m sure all will be forgiven. Our Real Lambswool Dusters may not be exciting, but they are a necessity. The perfect baby shower gift. Our Sheepskin and Tweed Baby Booties are a stylish addition to any baby’s outfit (no matter how fussy the parents are) and, most importantly, will keep their feet nice and warm. Our Sheepskin and Tweed Baby Booties are the ideal baby shower gift. A cute and comfy pair of booties which come in sizes for babies, children and even young teenagers. These British Made Pink Children’s Moccasins with Collar are beautifully made from soft lambswool to keep their feet warm and cosy whilst about the house. Soft and cosy British Made Pink Children’s Moccasins with Collar. Retirement isn’t all daytime TV, you know. Not at all- it’s a time to pick up new hobbies and visit all those places they’ve never had time to before. In fact, they’ll hardly ever be home, so sort them out with our timeless and practical Harris Tweed Flat Caps and Tudor Sheepskin Hats. Our classic Harris Tweed Cap will see them all the way through their retirement. Our fashionable yet functional Tudor Sheepskin Hat will keep them cosy throughout all their adventures. Our next suggestion for a retiring colleague could earn you either a warm thank you or a slap, so proceed with caution! After decades of hard work though, they deserve to put their feet up, and what better to do that in than one of Glencroft’s staple slippers: the Lambswool Lined Moccasin with Sole. These cosy slippers are made from a soft, luxurious lambswool, but without the luxury price tag. Available in sizes for men and women. What could be better to sit back and relax in than our Lambswool Lined Moccasins with Sole? This person, one way or another, is going to get wet. Whether it’s a splash by the sea or the Great British weather, they’re going to need some sort of waterproof protection. Glencroft can provide some help with this in the form of our Waxed Poacher Bucket Hat and Waxed Cotton Flat Cap. Each of these hats have their own perks; the bucket hat is the perfect shape to let the rain roll off, whilst the flat cap can also provide important protection from the sun. It’s up to you which one you think is best. Our bucket hats are an angler’s best friend. Keep the rain from their faces with our Waxed Cotton Flat Cap. Walkers are sure to be out in all weather and in Britain, more often than not, that means the cold and the rain. They’ll thank you then for investing in a good pair of gloves for them. Our Hand Sewn Lambskin Gloves come in a range of colours and are available in sizes for both men and women. These gloves are made entirely from real lambskin, rather than just lined, meaning they are some of the thickest, warmest and cosiest gloves you’ll find. Our Hend Sewn Ladies Lambskin Gloves will keep walkers warm whatever the weather. Our Hand Sewn Men’s Lambskin Gloves are perfect for winter walks. New boots are surely the walker’s natural enemy. Make their lives that little bit easier by buying them some of our Glencroft One Size Woollen Insoles. The warm and breathable nature of lambswool is sure to make these a winner, whilst the latex rubber sole can offer an extra bit of support. These insoles come in a UK size 12 but have guidelines to be cut down to match their feet exactly. Glencroft One Size Woollen Insoles make walkers’ lives just that little bit easier. Our British Wool Ladies Aran Poncho is the perfect gift for any fashion fan, as it is not only stylish, but high quality, made in Britain from British Wool. It’s the ideal layering piece, especially for the colder months, with two different colours available to suit their wardrobe. Nothing says British countryside quite like our Harris Tweed Gilet. Manufactured entirely in Britain, our gilet has a quilted lining and fleece-lined pockets to keep the wearer warm whatever the weather, and you can even fit one of our cosy woollen jumpers underneath for those coldest days. The tweed outer is a traditional muted green colour and is complimented by waxed cotton shoulder patches. Our Premium 100% Cashmere Scarves are the perfect accessory for the lady who wants to keep warm without compromising on style. We manufacture these scarves with local mills using their surplus cashmere which means not only do we reduce waste, but we get to produce a premium product at a more reasonable price. This means that every pattern is a limited run, which to our minds only makes them more exclusive and special. Sumptuously soft and available in a range of traditional plaid patterns. Stylish, warm and soft- what more could you ask for? This next gift is pretty pricey, but for a landmark anniversary or a big birthday, it would be truly special. Our Aviator Sheepskin Flying Jacket is made entirely from one thick, premium piece of sheepskin, meaning it will last a lifetime and be the warmest, softest jacket they’ll ever own. It’s based on the jacket used by RAF pilots during the Second World War (hence the name), so would be an incredible gift for anyone with an interest in history or the RAF. Our Aviator Sheepskin Flying Jacket is a truly special, once-in-a-lifetime gift. What Makes the Perfect Flat Cap?